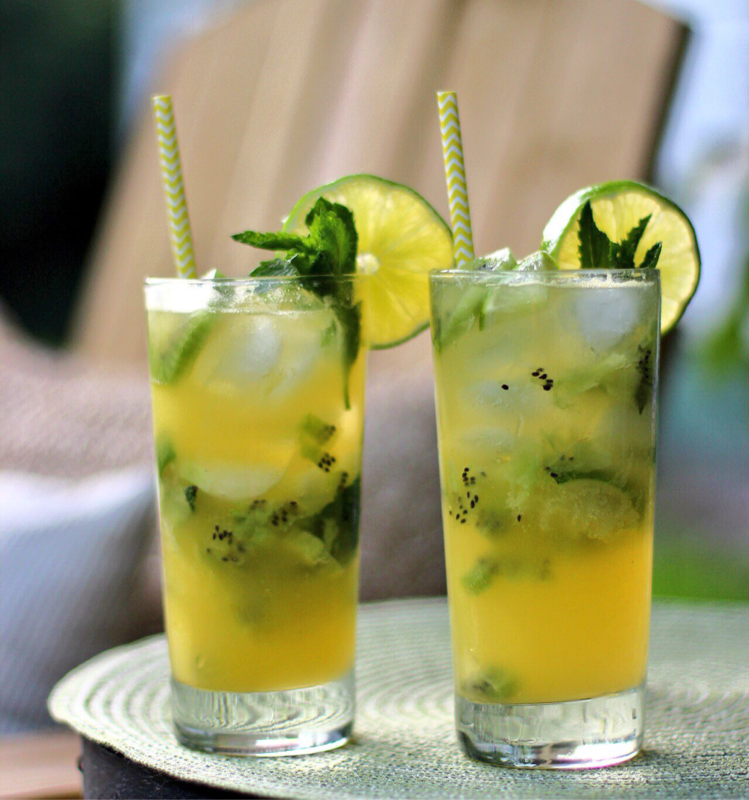 Muddle Mint leaves, Limes, and peeled Kiwi in a pint glass. Fill glass with ice. Pour 2 oz Bacardi Pineapple Add of 1 oz Monin Hawaiian Island Syrup & top with club soda. Stir (with bar spoon) to mix all your ingredients.